From the first time I set foot in Arizona, I knew it had something different, whether the huge Saguaro cactus, the plentiful plastic surgery, or the strange politics. Being close to the Mexico border, you would think that Arizona would have a better and more civilized approach to immigration. I think their economy would collapse without employees from Mexico. Let’s start with London Bridge. In 1968, a Lake Havasu man bought the London Bridge for $2.46 million and transported it to the desert. Why? Some towns in Arizona have strange names: Bumble Bee, Why, Happy Jack, Snowflake, Arsenic Tubs, Surprise, Two Guns, and Friendly Corner. Estrella, Arizona is home to over ten million used tires. Again, why? The Heart Attack Grill in Chandler serves a full two-pound hamburger with eight slices of cheese, a real artery clogger. To top it off, you can buy a pack of unfiltered Lucky Strike cigarettes for an after meal smoke. Arizona was the 48th state, and the last of the contiguous states to join the Union. Perhaps it will be the first to be impeached! The state tie is the bolo, and the state gemstone is turquoise. I think they belong together, forever. The state of Arizona is roughly the size of Italy. Arizona has the highest number of state and national parks. If you cut down a Saguaro cactus, you may face 25 years in prison! 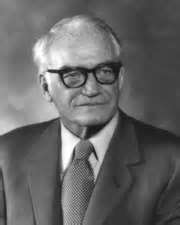 Remember Barry Goldwater when he ran for President in 1964. He called Nixon the most dishonest man he had ever met!!! My parents met and married here in the Phoenix area. They were in relocation camp in nearby Poston, AZ. They were able to elope to Phoenix for the weekend. So, I guess I should thank Arizona. Our dear friend Debbie lived here for many years. I will always remember her New Year’s Eve slipper party, and impromptu wig fitting extravaganza. Now, we look forward to visiting the great Sartorial Superman, John Fisher at Patrick James Men’s Store in Scottsdale. It seems the Bentley automobile is popular here. I have seen several, all black of course, as one was a convertible. Why would anyone want a black car in the summer heat here? Actually, I saw a white convertible just this afternoon. Attending the Giants spring training game was low-key fun. The players try to do some out of the ordinary things, like big and tall first baseman Brandon Belt for the Giants. They had him steal a base! And everyone’s hero and NL MVP, Buster Posey only played long enough for two at bats. Rotund third baseman Pablo Sandoval looks like he weighs about 300 pounds, ready to play for the Niners as the nose tackle! After a few innings, both lineups are dominated by either no names, or names to be made. Spring means hope for some young men. Often it seems good things happen when you least expect them. We dined last night the Renegade Tap and Kitchen out on Shea Blvd and Highway 101. Each of the dishes were quite special, starting with the butternut squash raviolis, followed by my lobster tacos, and Sheri’s halibut. Of course, breakfast was at the Good Egg, always hearty, and always the huevos rancheros. Never deviate from this breakfast! It will reach 81 here in the Valley of the Sun today. I feel sorry for the folks back east and north, mired in cold, snow, and wind. A week in Arizona, watching some meaningless baseball games, bragging about a few birdies on the golf course, and having a great meal certainly sounds better than shoveling snow. ← Travel Does Not Become an Adventure Until . . .